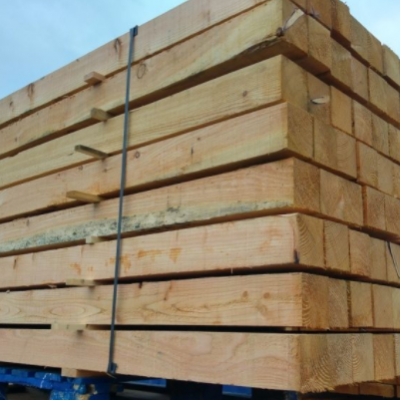 1.5m long x 145mm x 21 mm Larch Boards. Each pack contains 300 larch boards that have been planed on four sides with an added chamfer.We can also plane the boards with NO chamfer if you prefer a square board. 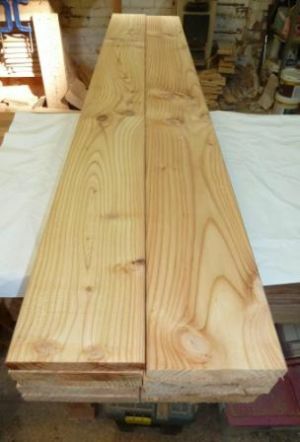 1.45m long x 145mm x 21 mm Larch Boards. Each pack contains 300 larch boards that have been planed on four sides with an added chamfer. The boards are cut from a round (tree with branches removed) and planed through our logosol planing machine. Thats it – now added chemicals or pressure treatment. Ideal for a range of DIY projects, shelves etc. We can supply any quantity required. Tel Chris 07988179838 if you have any questions.